The cheapest SIPP depends on a number of factors including how big your pension pot is and the types of investments you wish to hold. In this article we tell you the cheapest SIPP for a given sized pension pot. If you are considering taking out a Self Invested Personal Pension (SIPP) then I suggest you download the following FREE SIPP guide which tells you the pros and cons of a SIPP, what to look out for and how to get the most from a SIPP. It's the best guide on the subject that I've come across, plus it's free. Of course, simply going for the cheapest SIPP is not always the best option. You need to take into account that your personal pension pot will grow, either due to investment performance or further pension contributions. So what is the cheapest SIPP today will not necessarily be the cheapest SIPP for you in a few years time. That is why we have used broad pension size bands to allow for fund growth when deciding which is the cheapest SIPP below. The most popular SIPP in the UK and the winner of numerous Best SIPP awards. 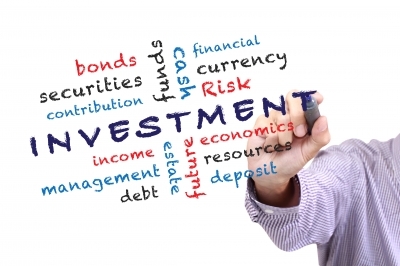 Among the widest investment choice available including shares, investment trusts, unit trusts and ETFs. Market leading website and app which enable you to buy and sell investments easily, even via the smartphone app. There is an additional 0.45% charge for investing in shares which is applied to the whole account, but capped at £200 per year. Transfer out fee £25 per holding or fund. Which is the cheapest SIPP? 0.25% on the first £250,000 of funds. 0.10% on the value between £250,000 and £1m. 0.05% on the value between £1m and £2m. No charge on the value of funds over £2m. SIPP admin fee of £100 +VAT. The above SIPP comparison has assumed an investor invests in funds and makes 10 fund switches a year. The analysis has taken into account SIPPs offered by the following SIPP providers: AJ Bell Youinvest, Alliance Trust Savings, Barclays Smart Investor, Bestinvest, Charles Stanley Direct, Close Brothers A.M. Self Directed Service, Fidelity International, Halifax Share Dealing, Hargreaves Lansdown, Interactive Investor, iWeb, Nutmeg, James Hay Modular iPlan, Selftrade,Standard Life Level 2 Investments, Strawberry, Telegraph Investor, The Share Centre, Willis Owen.